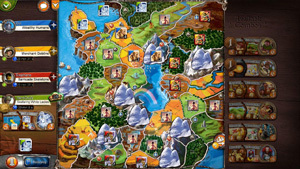 Small World 2 is a digital adaptation of the board game Small World by Days of Wonder. The game is available for Android on Google Play, iOS on the iTunes Store, as well as PC, Mac and Linux via Steam. Small World 2 supports cross-platform multi player across devices and operating systems, and features a lounge, friendslists, several game options and the ability to use the game's expansions which are sold as in-app purchases (only the host must own an expansion). The online lobby system is similar to Days of Wonder's phenomenally successful title Ticket to Ride. 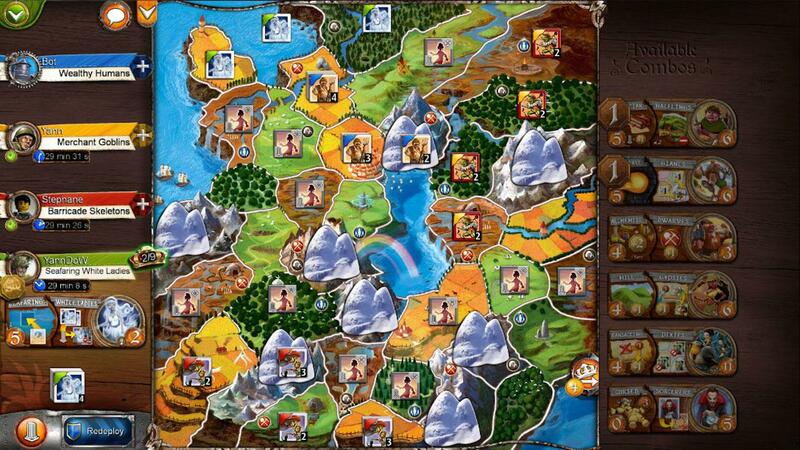 Small World 2 plays out on a colorful and detailed board modeled off the one in the physical game. The game is sometimes compared to Risk in that your main objective is to capture and control area on the board while your opponents attempt to do the same. Small World 2 builds upon this concept by adding a wide variety of random race and power combinations players pick from to utilize as troops. The game employs a mechanic where these races diminish over time, forcing players to retire them by putting them "in decline" and select a new race/power combo from those available in a random row. Knowing when to put one race in decline and starting a new one while leveraging the power of both is the key to victory, but there is plenty of interaction from the opposition to cause you to have to re-plan your strategies. I have played quite a bit of Small World 2 on both PC and Android and like the game a lot. 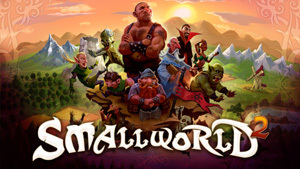 It has enough in common with Risk to provide some nostalgia for the old days of playing common board games as kids, while adding a lot of extra elements and variation as well as unique mechanics. The game also has a "press your luck" element, where your last army's attack can come down to a die roll, adding an element of chance. The app is beautifully realized and professionally presented. The interface is logical and simple. The included tutorial video gets players acquainted with the basics while the rest becomes evident while playing. The game can easily be taught and enjoyed by all ages and comes highly recommended.